We all crave the need for speed right? 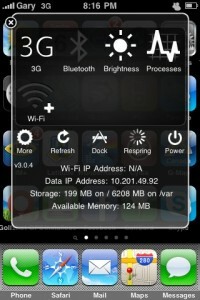 Well, if you have an iPhone 3GS you know what it’s like to have a speedy iPhone. But what about being able to change your settings in a jiffy? 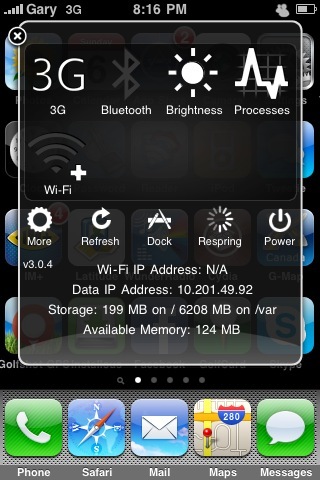 The app SBSettings, available via Cydia for jailbroken iPhone is what you need (if you don’t already have it). Instead of fumbling through the settings menu on my iPhone, SBSettings makes it super easy to toggle on/off WiFi, Bluetooth, and more. If only Apple had an app like this…but they don’t. Doh! It is reasons like this we should support all those hardworking Cydia app developers out there!